Limited time offer for Home Cleaning in Atlanta -- 30% off your first booking! Looking for professional house cleaning services in Atlanta? Whether you need an experienced service professional to take care of your house cleaning weekly, biweekly, or monthly, we can help. Handy was founded in 2012 and has already put millions of homes across the United States and as far away as Europe in touch with house cleaning experts. If you need someone to keep your home clean and your apartment spotless, we’ll connect you with the best housekeeping professionals around. Why choose Handy to connect you with the best Atlanta home cleaning services? Vetted, top-rated professionals will get to work at a time that suits you. Don’t worry about providing bottles of bleach and dusters either, as they’ll bring their own equipment. You could receive a maid service as early as tomorrow morning, depending on availability. Plus, our easy-to-use, secure electronic payments platform means you won't have to take a trip to the ATM to find cash before your home cleaning service professional turns up. Because all your house cleaning services are backed by the Handy Happiness Guarantee, you can rest assured that you’ll be satisfied when your cleaning professional leaves. In the unlikely event that you're not satisfied with our home cleaning, we'll work hard to make things right. Your happiness is our goal, so we’ll strive to connect you with the best pro for your needs and outperform other cleaning companies out there. 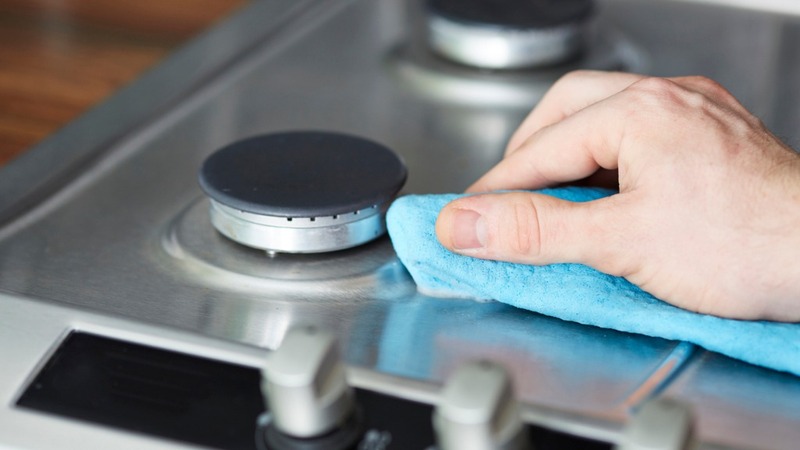 The best house cleaning services through Handy also offer deep-cleaning services for appliances like freezers and ovens. This can be booked for a supplement and can be useful for move out home cleaning. Can I use Handy to find home cleaning in Atlanta for my home? We’re proud to connect time-strapped people like you with cheap home cleaning services across Atlanta. Whether you’re a renter in need of a professional and cheap home cleaning, a homeowner planning a party, or a group of roommates who just don’t have the time or willingness to stick to a cleaning rotation, booking home cleaning through Handy is the answer. We aim to give you the best home cleaning services every time, wherever you live in Atlanta. Atlanta home cleaning services will help you make the most of your leisure time so you won’t have to spend hours cleaning your home. For example, if you live in a shared apartment you may find it tricky to stick to a cleaning schedule, especially if everyone works long hours. Instead of cleaning, you could be spending your free time meeting up with friends, going for a long jog at the Atlanta Memorial Park, or taking the kids to the Georgia Aquarium. Leave all the tedious cleaning tasks to Handy and we’ll connect you with the best home cleaning services in Atlanta. While you’re relaxing at your local café or spa, or going on a family day trip to Stone Mountain, the best home cleaning services in Atlanta will be making your home spotless so everything will be perfect by the time you get home. You could also book your Atlanta home cleaning service if you’re moving to a new place or need to make an apartment ready for a new lease. Whatever you need, we’ll help you find the best pro for the job every time. That’s why families and professionals choose experts through Handy over other cleaning companies in Atlanta. Handy pros will provide you with professional house cleaning in Atlanta every time. Use Handy for a quick connection to professional and cheap home cleaning service or any other type of house cleaning. Because we list top-rated pros on the Handy platform, you know you’re getting the best cleaning service in Atlanta. When you need reliable professionals to take care of your home maintenance, expert home cleaning services in Atlanta through Handy won’t let you down.